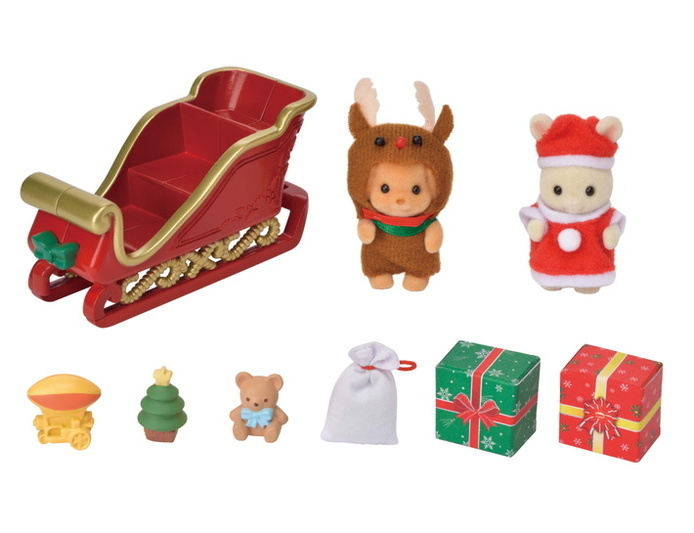 In this Baby Sleigh Ride Set, the Milk Rabbit baby is dressed in a Santa Claus costume and the Toy Poodle baby is dressed in a reindeer costume. 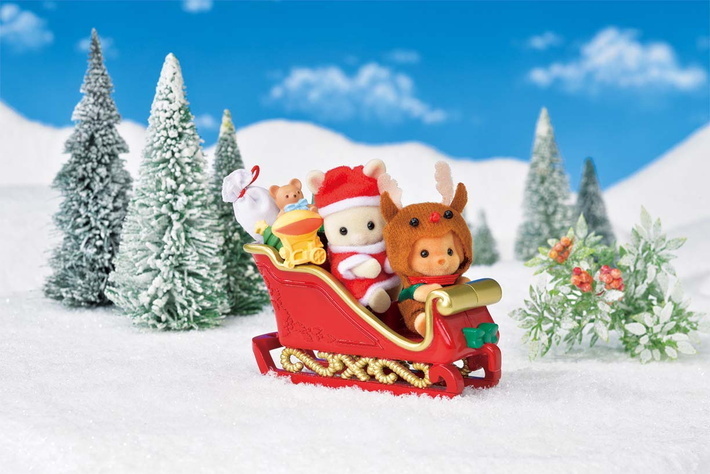 The sleigh can hold the two babies and the presents. 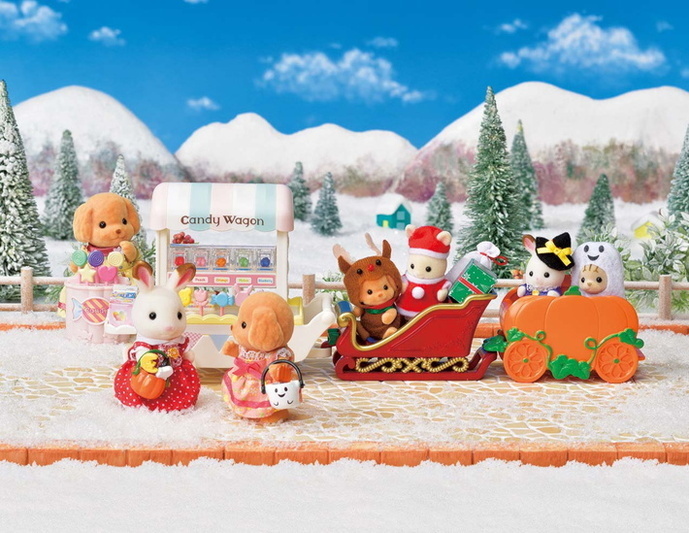 The set also includes a toy Sky Ride Adventure, a teddy bear, a small Christmas tree, gift boxes and a sack.